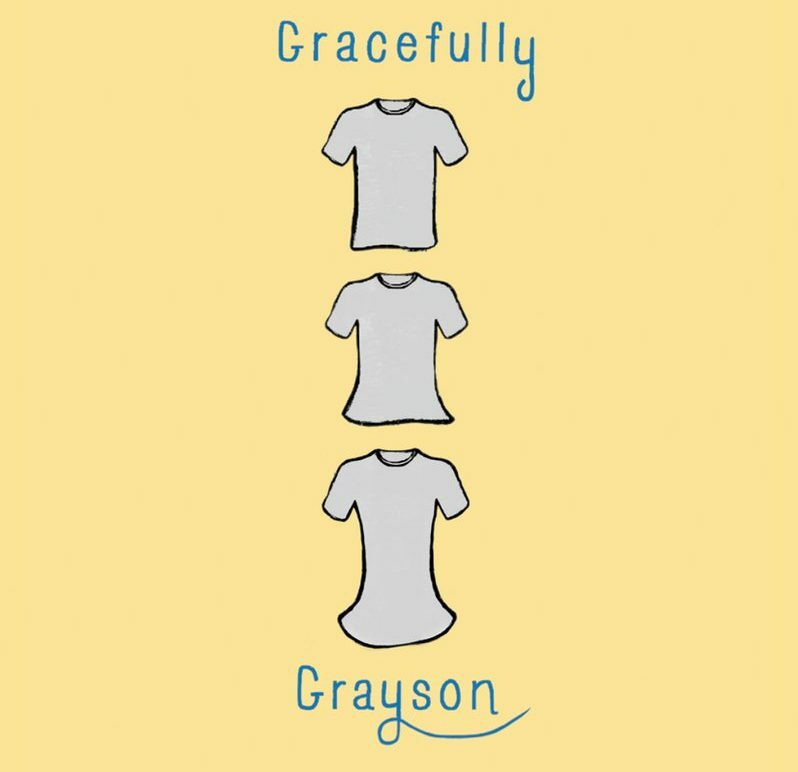 Ami Polonsky’s debut book “Gracefully Grayson” is beautifully written, and is worthy of all readers. The book tells the story of sixth grader Grayson Sender. Grayson isn’t just any sixth grader, however. Grayson feels like a girl. On the inside, Grayson is a girl. Grayson has always pretended that her T-shirts were dresses and that she was a princess in her mirror, and has drawn princesses in her school notebook. She never felt comfortable as a boy, even though that is how she was always brought up by her aunt and uncle. For some time, Grayson hides who she is from everyone in her life. That is, until she meets a girl named Amelia. Amelia and Grayson become friends after meeting at school in their Humanities class. One day, the two go to a store called The Second Hand. Amelia goes to the girls’ clothing section, and Grayson reluctantly goes to the boys’ clothing section as she has always done. After a bit of thinking, Grayson decides to try on a long, flowing skirt with dangling amber beads. Amelia sees Grayson in this skirt and immediately laughs. She thinks that Grayson is trying to be funny, but when she realizes that this isn’t the case, she asks Grayson if she wants people to think she is weird. After that episode, the gossip is out. Grayson now has to deal with some nasty bullies at school. Kids go up her and call her Gracie and make her feel completely miserable. The constant teasing only gets worse when Grayson tries out for the lead girl character in the school play. As more time goes on, Grayson makes true friends with his fellow cast members. Rehearsals are the only times when Grayson feels truly happy, because that is when she can be her real self. As soon as I started reading this book, I simply could not put it down. I clearly remember the one day I was so busy that I didn’t have any time to read at all, and I felt annoyed that I couldn’t read more of Grayson’s story. Whenever I had any free time at all, the first thing I would do was pick it up. The more I read the story, the more I loved it. While reading this book, there were many times in which I would have to remind myself to keep breathing because of how raw and emotional this book is. Every time a bully picked on Grayson, I would scream at them in my head. I would gladly celebrate all of Grayson’s happy moments with her, and I would also feel quite sad when she felt sad or isolated. I will give this book five out of five stars; however, it is not totally perfect. I wish that some characters were developed more so that readers could see the story from their perspective, too. The cliffhanger ending drove me absolutely crazy. I really, really wanted to find out what would happen to Grayson as she embarked on the next stage of her journey. I wanted to be there with Grayson every step of the way. The ending made it feel like I was suddenly abandoning her when she needed supportive people most. Other than that, I have no complaints. This book is so incredibly powerful, and no other book has ever made me feel the way this one did. While I am not transgender and am not (knowingly) friends with anyone who is, this book was an essential read. It is essential because it genuinely made me consider how transgender people feel. It will hopefully remind transgender people (or hopefully, all LGBTQ people) that they are not alone because others have been in their situation. I can only attempt to imagine how horrible it is to live in isolation and fear constantly. I would highly recommend this book to anyone who is 13 and older. “Gracefully Grayson” is a story of love and tolerance, and I hope you will enjoy it as much as I did.